Three years after NASA's New Horizons spacecraft gave humankind our first close-up views of Pluto and its largest moon, Charon, scientists are still revealing the wonders of these incredible worlds in the outer solar system. Marking the anniversary of New Horizons' historic flight through the Pluto system on July 14, 2015, mission scientists released the highest-resolution color images of Pluto and Charon. These natural-color images result from refined calibration of data gathered by New Horizons' color Multispectral Visible Imaging Camera (MVIC). The processing creates images that would approximate the colors that the human eye would perceive, bringing them closer to “true color” than the images released near the encounter. This image was taken as New Horizons zipped toward Pluto and its moons on July 14, 2015, from a range of 22,025 miles (35,445) kilometers. 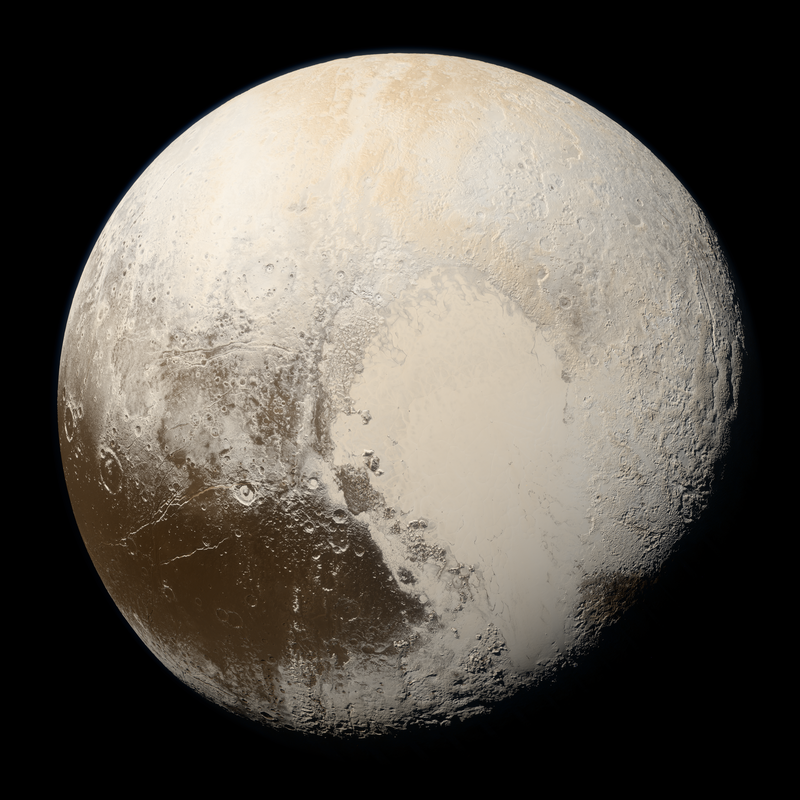 This single color MVIC scan includes no data from other New Horizons imagers or instruments added. The striking features on Pluto are clearly visible, including the bright expanse of Pluto's icy, nitrogen-and-methane rich "heart," Sputnik Planitia.